Your mom was right of course, motorcycles are dangerous. But according to this CBC news report, if your mom is Iranian, what she probably means is, they're dangerous even if you're not on them. 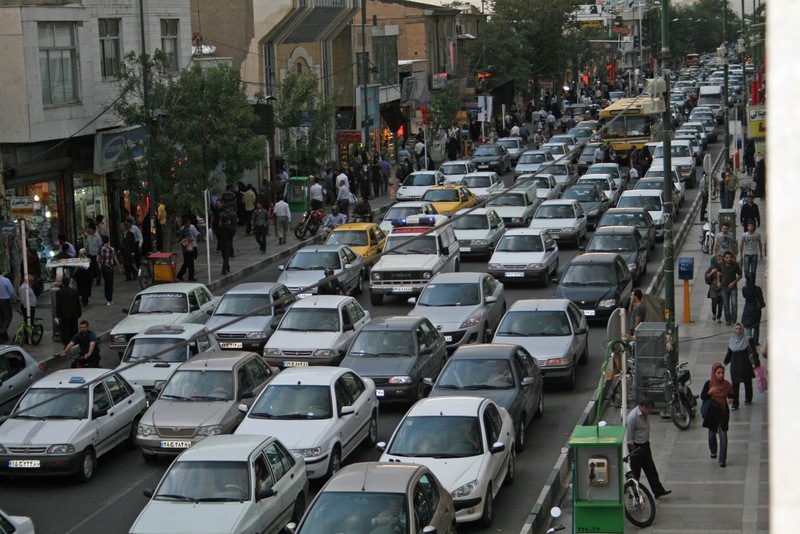 Yesterday, an Iranian scientist involved in that country's nuclear program was stuck in Tehran's notoriously bad traffic when a motorcyclist pulled up beside his Peugot 405 car. A passenger on the bike attached two magnetic bombs to the car. The motorcycle sped away - disappearing into traffic - and the ensuing explosion killed the scientist, injuring two other passengers in the car. The Iranians pretty much came out and said, it was Mossad's handiwork. That was worthy of minor note, but the article reminded me that in the last couple of years, there have been two other assassinations of Iranian nuclear scientists that involved motorcycles. In one, a bomb-laden motorcycle parked near the target exploded, and in the other, a passenger on a motorcycle shot the victim who was, again, stuck in traffic. I guess there's some Mossad hit man who realizes what millions of third-world up-and-comers also know: motorcycles provide mobility in traffic that brings cars to a halt. I wonder if he's a real biker? What does he ride at home? Is he staying in Iran between hits, and if so, is a motorcycle part of his cover? Iran has a pretty substantial domestic automotive industry. Over 8 million motorcycles are currently registered in the country, with new registrations increasing that total by about 1,500/day, so tracing the hit man's motorcycle will be difficult. 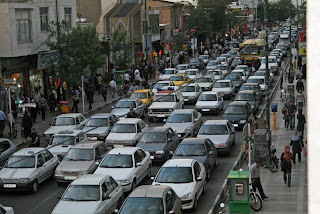 The situation is further clouded, literally, by the fact that motorcycles produce about a third of Tehran's equally noxious air pollution. If there's a Backmarker reader with any direct experience of motorcycling in Iran, please contact me. I'd love to know what bikes are popular and/or domestically produced. My advice to surviving Iranian nuclear scientists: I suppose it might be time to consider a new line of employment, perhaps in another country under an alias. I'm guessing that the CIA will put you in some kind of witness-protection program. But, if you insist on staying in your current job, get your own motorcycle! At least that way, you'll be a moving target.